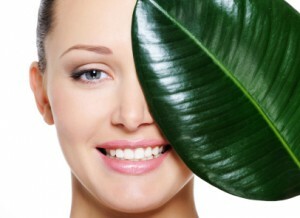 Your smile is important and it is possible to improve it! It is important to have healthy teeth but for many of us it is also important to look attractive and have a beautiful smile. 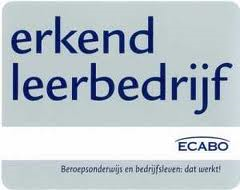 At Tandarts Praktijk René we can help you achieve a more beautiful healthy smile. The simplest way to keep your smile beautiful is to take good care of your teeth by proper brushing and flossing and a regular check up with the dentist. A professional cleaning with the hygienist will also make your teeth look much whiter. 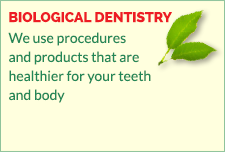 The first step in any cosmetic procedure is to get a full examination of your teeth and mouth by the dentist who will review with you the different options for creating a more beautiful smile. Many cosmetic procedures can be done painlessly and with minimal filing down. These are affordable, and yet can make a tremendous difference to your smile..
Give your smile a “face lift” with a composite resin facing. Applying composite resin facings is a procedure that can be used to make small, cosmetic changes to the front of a tooth. Our dentists use bonding to repair cracks, chips and flaws in teeth or to whiten them for a gentle “face lift” as an alternative to more lengthy cosmetic procedures. A layer of material is bonded to your own tooth and made into a beautiful form, according to your wishes. 1) Made from dental composite resin- beautiful and affordable. 2) Porcelain facings- more expensive but more durable and very beautiful. Practically every abnormality can be corrected. Missing teeth close to the front of the mouth or in the front of the mouth make for a less attractive smile. More importantly missing teeth make it harder to chew – this is important as the digestive process starts in the mouth – the chewing along with your saliva help your stomach to digest your food. Studies show that the gap left by one or more missing teeth can cause an imbalance of dental pressure within the mouth. The teeth no longer bite together as they would with a full set of upper and lower teeth. 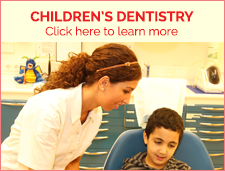 Incorrect bite may lead to orthodontic conditions, such as misaligned teeth. It can also result in problems with the jaw, or improper temporomandibular joint (TMJ) function. Such disorders may cause pain that radiates throughout the face, head, neck and back. .
A dental crown is a sort of case in the form of a beautiful tooth that is placed over a broken or ugly tooth. It is placed to replace the broken tooth or to make a tooth more attractive. 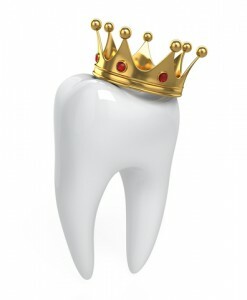 The crowns that we place are usually made of porcelain, zirconium or biocompatible gold which has a porcelain outer shell. We don’t use cheaper metals such as nickel or palladium, as it is known that many people are allergic to these metals and they can cause some unwanted side-effects. Sometimes called a fixed partial denture, bridges are used to replace missing teeth with artificial teeth. The bridges we make are made of zirconium, gold, porcelain, or a combination of these. The dentist anchors the artificial tooth onto surrounding teeth. Crowns and bridges are made in a so-called dental lab. We use high quality labs. Thus there is always some time (usually between one and two weeks), between the preparation and the placing of the crown or bridge. If necessary you will get a temporary replacement, so that you don’t need to walk out looking unattractive.